Have a German Knifemakers Guild member custom make your perfect German knife. 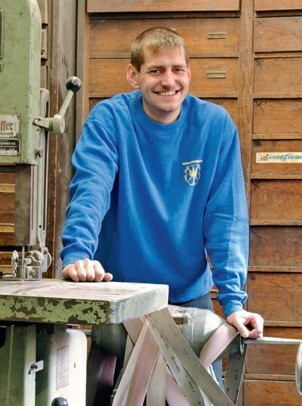 The German Knifemakers Guild was organized in 1986, and presently has about 70 members. Have you been thinking about having a type of knife made that simply isn't offered by any of the factories? Are you contemplating a type of steel or handle material that only a custom knife maker will be able to provide? Do you dream of a Damascus pattern that only a bladesmith with a special touch will be able to forge? Or did you see a custom, hand made German knife in an exhibition somewhere that you simply can't forget? Pay a visit to the German Knifemakers Guild web site, and get in touch with some of the Guild members. As far as I can tell from visiting the Guild's web site, not all of the members have web sites or receive e mail, but they all have mailing addresses and telephones, and I can assure you they will be happy to talk to anyone considering having a knife custom made. Feel free to visit the German Knifemakers Guild web site, and contact as many of the members as you'd like to. I would expect that at the very least, every member would have a brochure they would be happy to mail to prospective customers. And now, I'm pleased to begin introducing the German Knifemakers Guild members. And remember, they can all be contacted through the German Knifemakers Guild web site. 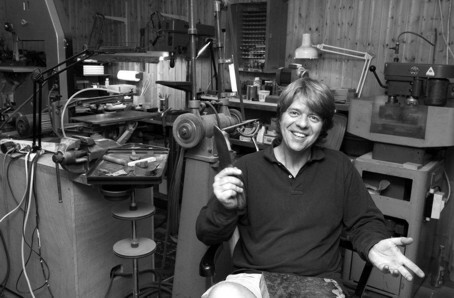 Christian Rankl started making knives in 1989, and became a member of the Guild in 2000. 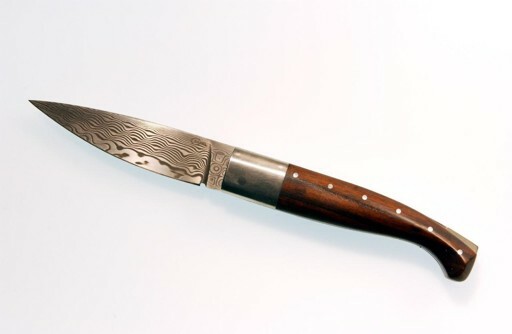 He has a background in industrial model-making and tool-making, and below is a photo of one of the knives he has made. You can contact him by phone at 089 75967265, or by e mail at christian@crankl.de. Juergen Schanz qualified as a journeyman Guild Member in 1991. He has made a variety of knives and swords, and is happy to custom make a German knife to a customer's specifications. He has great web site, and you can link directly to it from the Guild's web site. 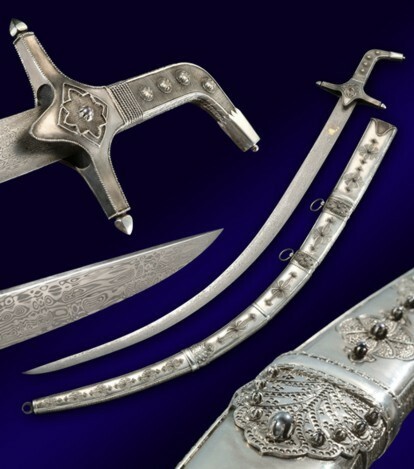 Below is a photo of one of his swords. I will introduce more members of the Guild as I receive photos and information. Thank You very much for visiting, we hope you've enjoyed our site. Return from German Knifemakers Guild to the German-Knife.com home page.